The other day I was thinking about how life would be different if there was no Google. 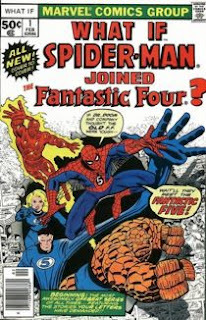 For those of you who have read Marvel Comics you may remember a series they had in the 1970's entitled "What If?". Basically each issue would provide a storyline with an alternate ending asking What If??? For example What If Spiderman joined the Fantastic Four? or What if the Hulk went berserk? It was an interesting idea for creating unique storylines as the creators of the characters could experiment with alternate realities. I have often wondered about What If Google never took off? What If Google was an also-ran? Can you imagine how different the world would be sans Google? Here's my thoughts on What If Google did not exist? What If Google Did Not Exist? Somebody else would be trying to "organize the world's information and make it universally accessible and useful..."
When someone said, "I just googled Britney Spears.." you would look at them with a funny look repsonding with ".. you did what?" Bill Gates would not be making comments such as "...Which Google products are you talking about? Seriously? Other than search, which are you talking about? Google Talk? Wow. A total “me too” product. Even Gmail – what is the unique thing?" Hotmail would still be offering less than 250 MB for email use as there would be no such thing as Gmail. So to answer the question, What if there was no Google? The answer is, that the Internet and Search industry would be a much quieter place.